Free For All Friday. – Kreplach Ka’plah – vegan in your city. Note: I wrote this yesterday (friday), and didn’t post it before falling asleep. oops. 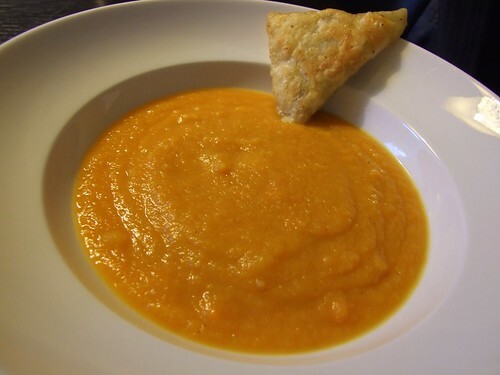 Yom Kippur begins tonight (friday) at sundown, so I’m preparing a little meal for tonight of rutabaga carrot ginger soup and kreplach. I didn’t have a plan for today, mostly because I hadn’t known there was a prefasting meal till a few hours ago. I started searching the internet for ideas, and found some lovely little dishes, one of which included kreplach. 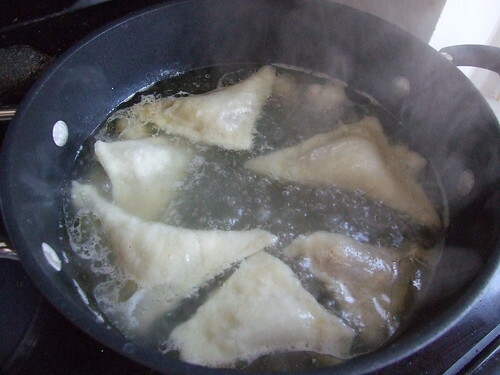 Kreplach is a small dumpling usually filled with ground meat, and usually boiled and served in chicken soup. 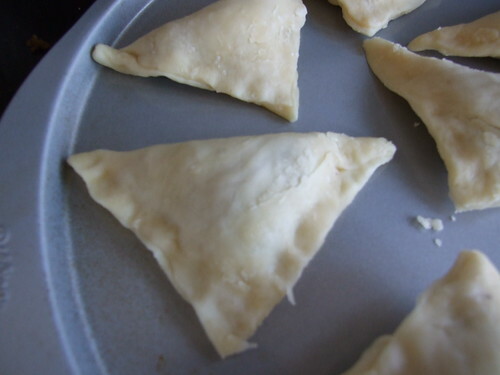 When I saw them I thought… oooh triangular pierogi, and set off to make some for this early evening. Of course my version was missing real meat or chicken soup, but I did try to keep it close to the original dish. Normally, the dough contains eggs (in addition to flour and water), but mine just had oil, water and flour. And the resulting dough was beautiful. Just the way it felt while I was kneeing it, I just knew it was the good stuff. After mixing it, and kneading it, and then I had it on my kitchen table ready to be turned into flat little squares. Well, that’s the moment that making kreplach also reminded me of the one major thing missing in my kitchen: a rolling pin. 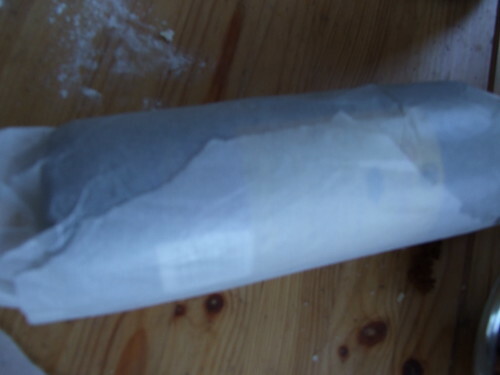 Or at least a real rolling pin. I’ve been using parchment paper wrapped bottles of wine, but I think it might be time to get the real deal soon. If I had had mushrooms, I would have made a mushroom onion tvp filling, but instead, I threw together some veggie ground round, with some onions and spices, and hoped for the best. Having helped myself to several spoonfuls of the finished product, I have to say it was good, but I can’t shake the idea that mushrooms would have made it extra special (so what I’m saying is… use mushrooms, they are awesome). 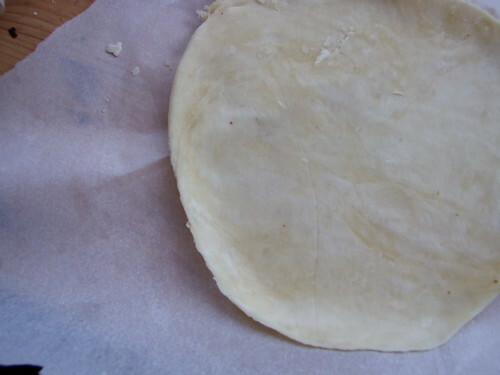 Roll your dough out as thinly as possible. I cut the dough into squares, but I’m sure there are perfect square shaped pastry cutters that would do the job in half the time. I parboiled the filled dumplings and then fried them in a generous layer of olive oil. I’d say that overall it was a success, but I would have liked the wrappers to be thinner. If you observe Yom Kippur, I hope it’s a positive and reflective experience for you. I’m big on being in solidarity with my partner, so I’m hoping my first one will go okay. I haven’t fasted in years, and especially not without water, but I know one day isn’t going to break me. Vegan MoFo : It’s Caturday! Your kreplach look wonderful, as does the soup — a nourishing and peaceful start to your fasting day.